If you have any of these problems, or any other inkling that your water heater might be malfunctioning, Climate King is available to come take a look. We’re experts at troubleshooting and diagnosing a huge range of water heater problems from degraded anode rods to damaged heating elements to inoperative thermostats, and we’ll help determine the precise source of your water heater problems. Once we know what’s causing your water heater to malfunction, water heater repairs are usually pretty straightforward. We carry a number of common repair parts in our vehicle, so we should be able to provide water heater repair service on the spot. 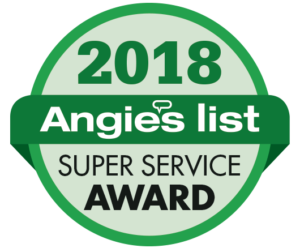 Our goal is to make your water heater service convenient and hassle-free, and our team will treat you and your property with the utmost professionalism and respect. 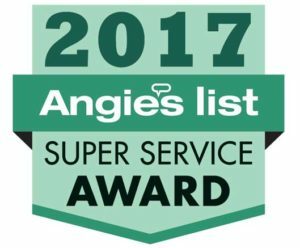 Put your water heater repair issues in the past by calling us today! Energy-efficient and high-performance, tankless water heaters are an ideal solution for home. Increasing in popularity in the United States over the last decade or so, tankless water heaters provide you with endless hot water along with substantial energy savings up to 40%! 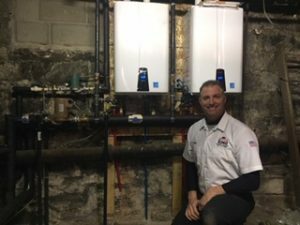 At Climate King, our professionals are pleased to work with both traditional and tankless water heaters, and we can provide repair and installation for both types of hot water heaters. So if you’re interested in learning more about the advantages of a tankless system for your home , we’re here to help. Just give us a call or send us an e-mail. Combining compact size with great savings, tankless water heaters provide you with a more efficient way to meet all of your hot water needs. That’s because, unlike a traditional water heater, tankless water heaters only run while you’re actually using the hot water. Traditional water heaters provide hot water by heating water and then keeping it hot, cycling on and off to keep the water stored in a large reservoir warm for hours at a time even when you’re not using it. On the other hand, tankless water heaters turn on when you turn on the hot water tap, and off when you turn the tap off, bringing you great savings over the older-style tank hot water heaters. And remember, they provide endless on demand hot water. At Climate King, our professionals are ready to help you determine if a tankless water heater is right for your home . We’ll talk you through the product specifics as well as potential energy savings to make sure you get the best solution for your hot water needs. 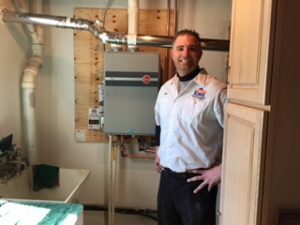 And, of course, we’ll follow up with precision installation workmanship to make certain your new hot water heater can perform its best for years to come. When it’s time for a new hot water heater, you want to call Climate King ! We service and repair all brands of tankless and standard water heaters. most professionalism and respect. Put your water heater repair issues in the past by calling us today!